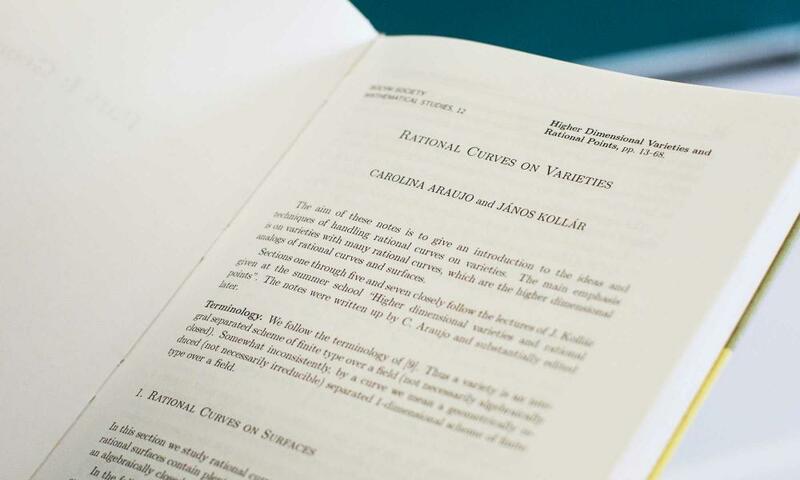 At the International Congress of Mathematicians in Rio de Janeiro this past August, the algebraic geometer Carolina Araujo was difficult to track down. 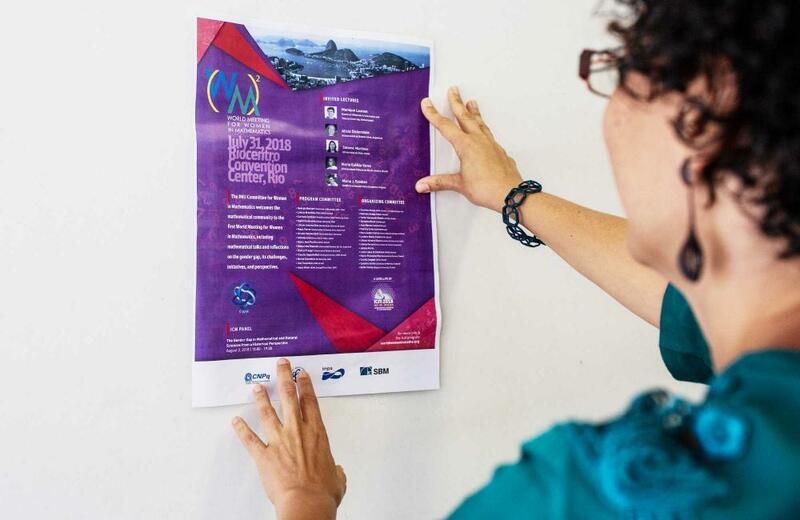 As a member of the organizing committee, she was overseeing the women-in-mathematics file and working on several files behind the scenes, plus refining her own lecture — non-trivially, she was among the first Brazilian women to deliver an invited lecture in the history of the congress (four Brazilian-based women delivered invited lectures at the ICM in Rio). She’d also been leading the charge in planning the inaugural World Meeting for Women in Mathematics — (WM)2 — a satellite event held the day before the congress at which both women and men were welcome. Born and raised in Rio and having earned a Ph.D. in mathematics from Princeton, Araujo is the lone female permanent researcher at the Institute for Pure and Applied Mathematics (a second was recently hired and will join IMPA by the end of the year). 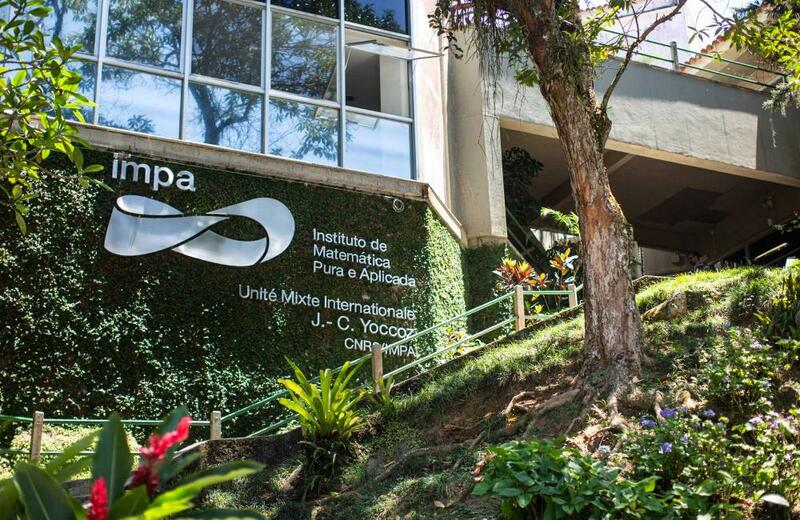 Founded in 1952, IMPA is the most prestigious center for mathematics in Brazil, a country that in 2018 was promoted by the International Mathematics Union to the elite “Group 5” tier of the most developed nations in mathematics research. Araujo is also a Simons associate at the International Center for Theoretical Physics (a position supported by a grant from the Simons Foundation, which also funds Quanta). Araujo started her career as a postdoc at IMPA after she finished her Ph.D. in 2004. Having not yet solved the problem that motivated her thesis, she persevered, continuing to work almost exclusively on that same problem — about the algebraic characterization of projective space. Over the years, during her Ph.D. and afterward, she developed techniques that had to do with families of rational curves of minimal degree passing through a fixed point — very generally, imagine yourself tracing lines from a fixed point on the ground and leading off in all directions to the horizon line. This theory of rational curves of minimal degree was introduced by the Japanese mathematician Shigefumi Mori, who was awarded a Fields Medal in 1990. Araujo disregarded advice that this single-minded strategy was risky, that she should be publishing papers to build up her CV. But by 2008, Araujo and two collaborators had found a solution and published their result (generalizing an important result of Mori’s from 1979). This accomplishment likely earned her the tenure-track job at IMPA. This month Araujo commenced both a sabbatical at Berkeley and a term as vice president of the IMU’s Committee for Women in Mathematics, which organized the (WM)2 gathering. True to her consensus-building style, the (WM)2 day included not only lectures, but also discussion groups on topics suggested by the 350 participants. And there was art, with the premiere screening of the documentary “Journeys of Women in Mathematics” (funded by the Simons Foundation, it featured Araujo and two other female mathematicians), as well as a memorial exhibit on the life and work of the Iranian mathematician Maryam Mirzakhani, who in 2014 became the first female Fields Medalist and who died at age 40 in 2017. Women have started to be seen as main protagonists in mathematics only very recently. In the days before the congress, at the IMU’s General Assembly meeting in São Paulo, no women were elected as members at large to the executive committee (one woman, Nalini Joshi, from Australia, was acclaimed as a vice president), and during the congress in Rio no women were among the eight big prizewinners. The issue of female representation among the executive committee and the prizewinners percolated during the congress and was discussed during a panel on the gender gap in mathematics. The further women progress in the field, the fewer women there are and the greater the gap with men. 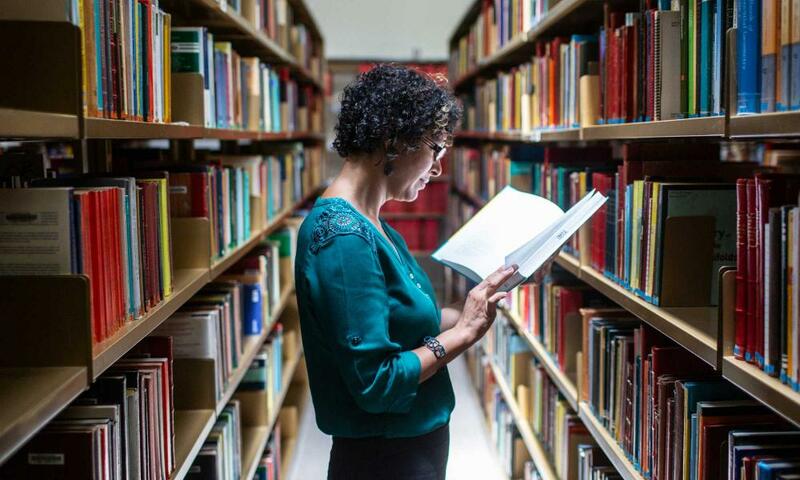 In Brazil, women account for about 48 percent of the math undergraduate degrees, but only 24 percent of Ph.D.s. In the United States, women constitute approximately 30 percent of graduate students in mathematics, while only 15 percent of tenure-track research mathematicians are women. Quanta Magazine spoke with Araujo at the ICM in Rio and again by Skype this fall, in between her teaching and traveling to conferences and completing congress paperwork. The interviews have been condensed and edited for clarity. When did you start to reflect on the dynamics of being a woman and being a mathematician and the gender gap? The truth is that it took me a long time to realize these things. It was not clear to me in the beginning how uncomfortable I felt at times. Why do you think was that the case? One reason was that my mother was an engineer, so there was a role model right next to me. My grandparents and relatives used to recall that my mother was very good in math, and then whenever I got a good grade they’d say, “Oh, just like her mother!” So for me this issue was not there to start with. I live in a society that is extremely unjust in many respects, and I don’t think I could live in peace without doing something about it. When did your perspective shift? In the last year of my Ph.D. at Princeton, I had a little group of female mathematicians — doctoral students, postdocs, young professors — and we became very good friends. We used to go for lunch together regularly, organize brunches in the weekend, go biking in the woods, play tennis. It was a social group, but also served as a support group — more than just support, we were models for each other. I realized then that it was so much more pleasant to be with women. And it made me think: Maybe if there were more women in math, the environment would be more friendly. It’s not necessarily that I felt any aggressiveness or prejudice, but to my sensibility it was just an unfriendly environment. Then I started to understand, little by little, by talking to students and to other female mathematicians, that for many of them the environment is more than unfriendly, it’s hostile and aggressive. There’s wild competition, harassment, implicit and explicit bias, and we have to prove ourselves all the time. Many women, very talented women, were leaving mathematics. Many of them had to make this choice. For some women it is easier to deal with this environment; for others it is emotionally very costly. I think it is such a pity that we do lose talents because of this hostility. This is when I started to realize that it makes sense to have “women in math conferences,” as a way of reminding us of who we are. I remember that when I was a Ph.D. student, I never wore skirts or dresses; I would always wear pants. Somehow, I had to separate myself. There were two sides of me. There’s the woman, and there’s the mathematician. And I don’t think this is healthy. You are currently the only woman among about 50 permanent researchers at IMPA. You’ve said that at this stage in your career you consider it a moral responsibility to help other women excel in their mathematical careers. How so? This is just a feeling that I have. This is my dream job. But somehow, this by itself cannot complete me. I live in a society that is extremely unjust in many respects, and I don’t think I could live in peace without doing something about it. Reaching equity is a difficult task, but I think that my current position gives me the possibility of doing something and making a difference. You are part of a movement of women mathematicians in Brazil who are forming a network to close the gender gap. How did this get started? It began very informally shortly after I returned to Brazil, and then we started to gather and discuss things a few years ago more seriously. Each region in the world has its own particularities, in terms of the challenges women in mathematics face. We have to understand our own singularities, and our own identity within our culture, and be faithful to it. There is something I really like about the collective of women in mathematics in Chile — they are very well organized and it is a completely horizontal structure. For me, they are a source of inspiration. The horizontal structure may not survive when our network gets larger, but for the moment we are doing things like this, very intuitively somehow. What has been the focus of the network so far? In 2017, we organized a roundtable to address gender issues in mathematics, which took place during the Brazilian Math Colloquium, the biggest gathering in the Brazilian mathematical community, which happens every two years. And this was actually the first roundtable of a series that happened throughout the country. At the first roundtable we looked at the numbers, to make the problem visual and quantifiable. And in the process of organizing the roundtables nationally, the network grew, with local groups of women in mathematics connecting. The (WM)2 meeting during the congress was the pinnacle of our efforts so far. We were so excited, though it was so much work, to organize both the ICM and (WM)2, that I promised myself that I would not organize any other meeting for at least two years. I wanted to dedicate myself to new research projects. But I had to go back and break my word already. Now we are organizing the first Brazilian meeting of women mathematicians. This is going to take place in July of 2019, as a satellite of the next Brazilian Mathematics Colloquium. Why did you break your promise? A few female colleagues came to talk to me after the (WM)2, saying how important that day was for them, and they suggested we should organize a Brazilian meeting — they said we cannot let the energy and momentum go away, we have to keep the network alive. And I could not say no. We have this network that has formed in Brazil, but it is very young, it’s still not solid yet. So at this stage it is important to take care of it and nourish the network. I am very excited about this, but it comes at a very difficult time. We just had elections here in Brazil. We are now facing a very conservative government, and we are still not clear what is going to happen. Being a mother and doing mathematics are two very intense modes of being. How do you balance the two? I don’t think there is an easy recipe. I became a mother when I was 39, so my career was already established. I can’t imagine how hard it would be for a young mathematician — for a postdoc, it must be very hard. My son, who is almost 3, does not like me to work. If I need to work at home, I try to get him very tired, so he has a very long nap, and then I get maybe two and a half hours of work. But it’s hard, and it really does impact the research. I don’t work on mathematics as much as I used to. But that’s OK. It’s a different period of life. Becoming a mother made me realize how deep the gender gap goes, how having children affects men and women differently. I’ve seen male colleagues who are back at the institute working, going to seminars, the same week that their children were born. I couldn’t think of doing this. The first few months of motherhood were very intense for me, and not necessarily in a good way. So I not only didn’t have time, I didn’t have the energy to put myself in the necessary creative mindset. At times I missed math during this period. And I was happy at one point to have to make changes to a paper that had been refereed — it was a good escape. But it was difficult to work, and still, looking back, I probably did more work than I should have. In terms of bridging the gender gap, do you worry at all that meetings for women in mathematics, such as the (WM)2, are perpetuating the segregation and the isolation? We are not solving the problem when we organize a meeting like this, of course. The main motivation for the meeting is just to be among ourselves. Men are among themselves all the time in the mathematical world. They don’t need to organize a meeting for men, because most meetings are mostly men. They are always with their peers. The (WM)2 was very inspiring. It was really beautiful to see so many women looking around and identifying with each other. The important thing was that they understood that they were part of the community, that they were included. Because otherwise, it is not so apparent. There is a photo of the opening ceremony of the ICM — I showed this picture at a roundtable I participated in recently. In the photo there are only men, except for one woman: there’s the president of the Brazilian Mathematical Society, the president of the IMU, the general secretary of the IMU, and the president of the organizing committee of the ICM, and all the Fields Medal winners and other prize winners. They are all men. The one woman in the photo is a representative from the bank that was the main sponsor of the event. That picture, especially for a young woman, has a subliminal message that one must pay attention to. What kind of career is it when on the big stage at the biggest party of mathematics you only see men as protagonists? It’s a very strong message. Siobhan Roberts is the author of Genius at Play: The Curious Mind of John Horton Conway. She writes for the “Elements” science blog at NewYorker.com, as well as Nautilus,The Walrus and Quanta.